Milne leaned pitifully on his elbows against a shabby wooden lectern and gazed grimly upon the assembled members of Jeremy Corbyn’s Shadow Cabinet. They sat in three unruly rows upon a mismatched assortment of plastic swivel chairs, wooden seats and Chesterfield armchairs they had dragged in from their respective offices. Some of them disinterestedly thumbed their mobile phones and some muttered bitterly under their breath. 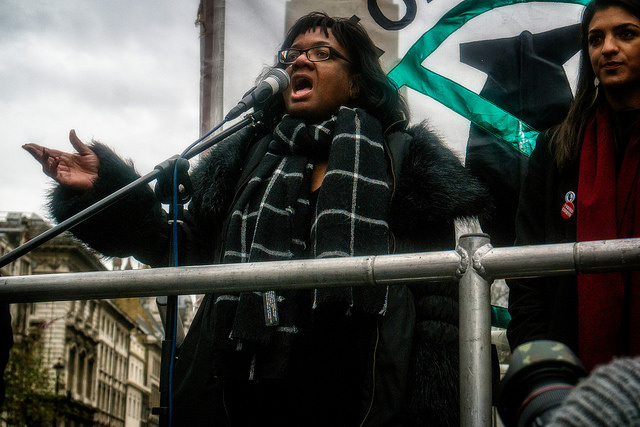 Diane Abbott lifted up a black veil and briefly checked her face in a compact mirror. At least someone, thought Milne, was taking this halfway seriously. “Erm, Seumas?” piped up a croaky voice from behind him. It was Dennis Skinner. He was lying in a long, tatty cardboard box perched unceremoniously atop Jeremy Corbyn’s expansive desk. “I know Dennis.” barked Milne, abruptly cutting the old man off. He knew all too well that one minute and fifteen seconds had been the record set by Skinner for holding his breath. The Beast of Bolsover had insisted upon proudly showing everyone, including the police officers at the security gate, a grainy mobile phone shot of his wife holding stopwatch displaying his record time earlier that morning. In almost five decades in public service, this was arguably Dennis Skinner’s crowning achievement as an MP. He strode across the Leader of the Opposition’s office and disappeared through a wood panelled door leading to a small anteroom. The members of the Shadow Cabinet shared a number of knowing glances and slumped into their seats with an air of resignation. Within moments, the sound of raised voices wafted through from the anteroom. A lower, more composed voice murmured something inaudible, but the howling continued unabated. The shadow cabinet sat in uneasy silence through five solid minutes of scraping, banging and muffled yelping from behind the door before the room. Chairs shuffled, shoulders shrugged and concerned glances shot around Corbyn’s office until the struggle finally seemed to subside. The door flew open with a clatter as Jeremy Corbyn, clad in green military fatigues and matching cap was wheeled into his office. He clutched an opened tin of Aldi Everyday Essentials baked beans in one hand and a plastic spoon in the other. The tartan travel rug sitting messily across his lap dripped with what appeared to be half of the tin’s contents. “My Cuban comrades! How wonderful to see you all!,” he screamed, staring feverishly at his Shadow Cabinet. He wheeled Corbyn to the end of the front row and stood behind him, stony faced. The room fell silent for a few moments. Corbyn’s Head of Press turned and motioned to Richard Burgon, who had spent the past ten minutes with his finger intensely poised over the Play button of the portable stereo. “Electric funeral! Electric funeral! Electric funeral!,” it blared, causing many of the assembled Labour politicians to sit up with a start. 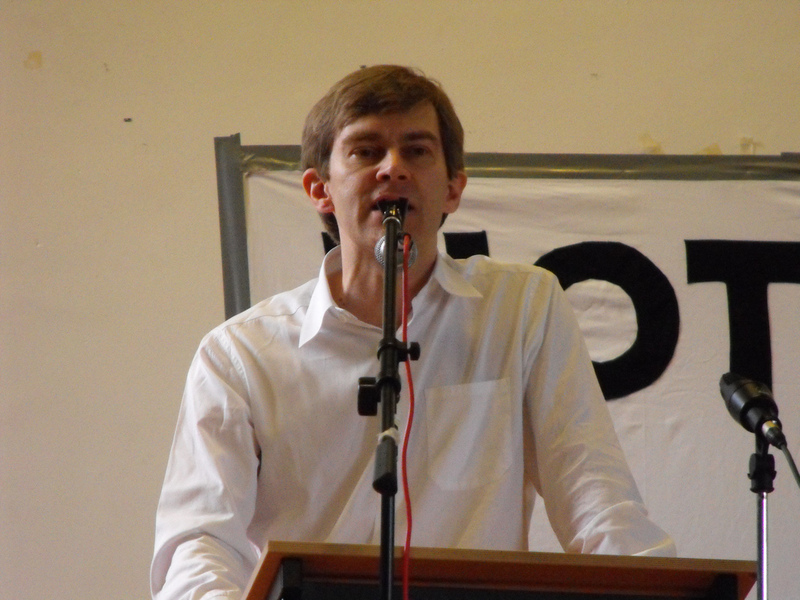 Milne spun around, his teeth bared, and made a throat slitting gesture to Burgon, who was enthusiastically playing air guitar along to the music. Noticing the Head of Press’s prickly demeanour, he quickly hit a button to halt the racket and meekly returned to his chair. Milne glanced down at Corbyn, who was staring blankly ahead, unmoved by the commotion. He closed his frustrated eyes for a few moments, before nodding towards the far corner of the office. This signal prompted a figure to stroll uneasily out of the shadows towards the tatty wooden lectern. 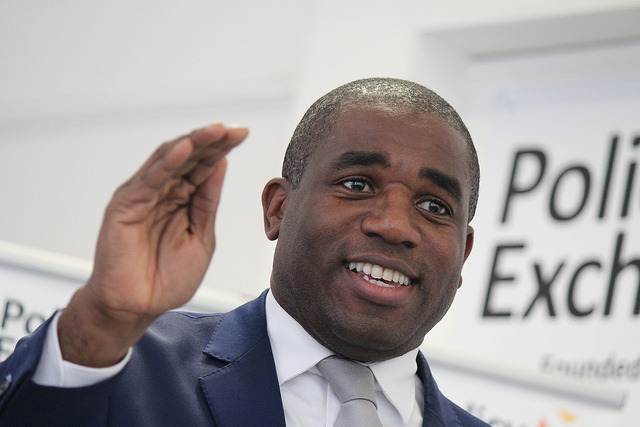 It was the Member of Parliament for Tottenham, David Lammy. He was dressed in Cuban-style military fatigues and, contrary to the strongly worded protestations of Seumas Milne, a false beard and beret combination in the style of Ernesto Che Guevara. He cleared his throat, grasped the sides of the lectern and spoke to the assembled MPs. “Erm. Hello guys. And by the way, fanks for all coming today to the big, massive state funeral of the legendary Cubist legend Fiddle Castro. Diane Abbott lifted her veil and wiped away a tear. Seumas glanced nervously down at Corbyn. He was grinning maniacally at Lammy. Lammy, catching sight of the Labour leader’s deranged stare, gulped and steadied himself. “Okay, calm down, Jeremy,” said Milne, unlocking the brakes on the chair and wheeling Corbyn past the vacant-looking Lammy and on towards the cardboard box on the desk. The old man immediately grabbed the edge of his desk and hauled himself up to peer inside the box. 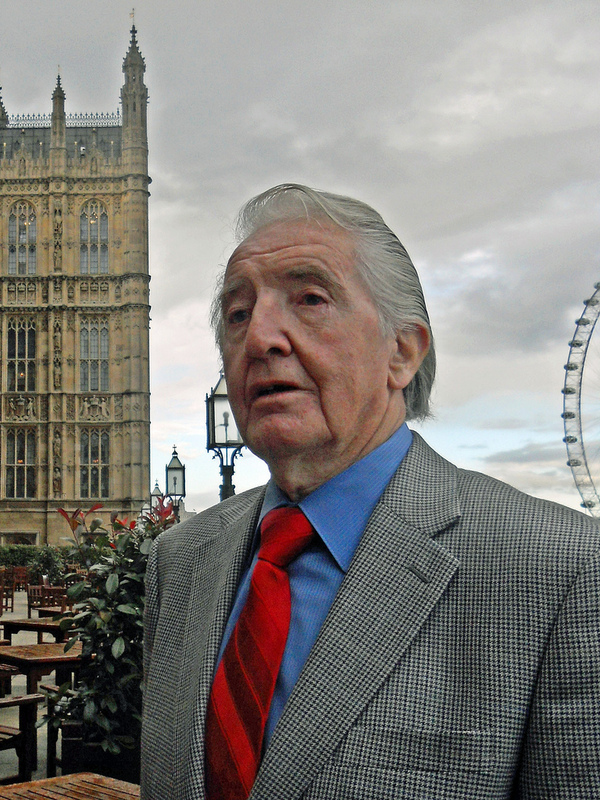 He stared long and hard at Dennis Skinner, who took a huge gulp of breath as Corbyn’s face loomed over the side of the box. Abbott rose slowly from her chair, sobbing gently. She paused briefly to thank Lammy for his moving eulogy before waddling slowly over to the box. She used her gigantic ham fists to grab the puce-faced Skinner, who was still holding his breath, by the shoulders and haul him up straight. “Right Jeremy, say cheese,” smarmed Milne, before snapping a shot on his phone. But before Milne could take another photograph, the now scarlet-faced Skinner exhaled an almighty breath of air and opened his eyes. He sat up, dusted himself down, climbed off the desk and marched grumpily through the ranks of the Shadow Cabinet. He spun around, raised an accusatory finger at Milne, spat the words “worse than Thatcher” at him and stormed out, slamming the door behind him. The room fell into a stony silence. Seconds dragged by like hours as all eyes moved upon Jeremy Corbyn. A look of tormented confusion played over the old man’s face as he attempted to process what had just unfolded. Milne’s eyes darted around the room, skittishly. He sputtered as he searched for the correct response to his boss’s expostulation. The assembled members of the Shadow Cabinet took this as their cue to beat a hasty retreat from their leader’s office. As the grumbling pack shuffled towards the door, they were halted momentarily by David Lammy, who had just emerged from a period of deep contemplation with a bewildered look on his face. Globalism – What’s Not To Like About It?